Susan Larson hosts a monthly conversation with authors, artists, and audience members, in conjunction with Art of the City: Postmodern to Post-Katrina, presented by The Helis Foundation. 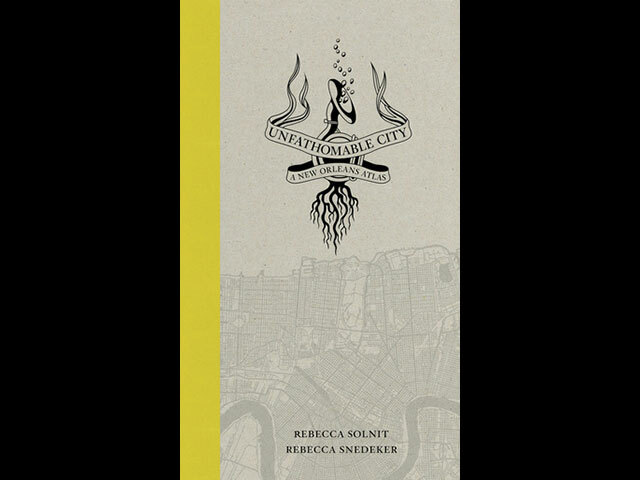 This month's event will feature Rebecca Snedeker's Unfathomable City: A New Orleans Atlas. Artist TBA. Admission is free, and registration is required. The innovative maps’ precision and specificity shift our notions of the Mississippi, the Caribbean, Mardi Gras, jazz, soils and trees, generational roots, and many other subjects, and expand our ideas of how any city is imagined and experienced. Together with the inspired texts, they show New Orleans as both an imperiled city―by erosion, crime, corruption, and sea level rise―and an ageless city that lives in music as a form of cultural resistance. Compact, lively, and completely original, Unfathomable City takes readers on a tour that will forever change the way they think about place.